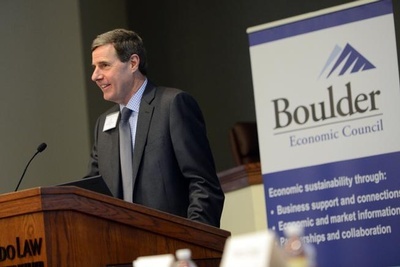 Join us for the 2019 Boulder Economic Summit: the signature annual event hosted by the Boulder Economic Council. 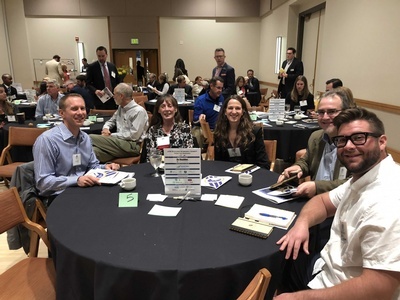 The 2019 Boulder Economic Summit: The Smart Economy features sessions on how revolutionary advancements in technology impact how we work and live and technological trends present new political, social and economic challenges in Boulder, Colorado and the world. Breakout sessions will explore how technology is leading to problem-solving innovations, but also potential challenges in the way our community is built, how we get around, and the needs of our workforce. 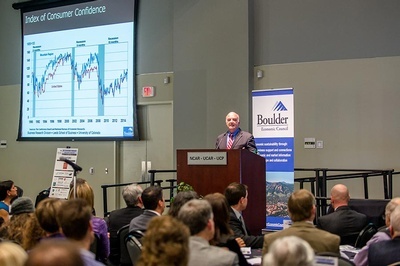 Join us for this event that convenes businesses from across industries for a dialog on this key economic trend impacting Boulder. We expect over 350 attendees, including business (local and regional), academic and community leaders. Living with Technology. What’s Next? Dean James White, College of Arts and Sciences, CU Boulder. Parking at Euclid Parking Garage. Parking Attendants will be On-site (6:45am-8:45am) at the entrance of the Euclid Parking Garage to hand out parking passes to guests of the Summit. Please park in the Euclid Parking Garage beneath the CASE Building. We encourage public transport, carpooling or alternative transportation. PHOTO RELEASE: By attending this event, photographs of event and individuals will be public and possibly used on future marketing for the Boulder Chamber and its associates.